Do you have a resolution to try something new in 2019? 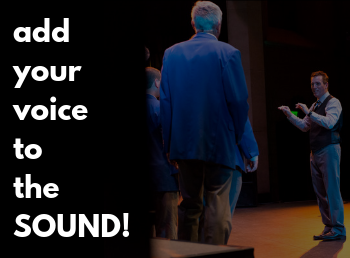 Pacific Sound would like to invite anyone that likes to sing to any of our rehearsals in the new year and see what Pacific Sound and Barbershop Harmony have to offer you. We meet on Moday nights at 7:30pm in Ventura. Check our event calendar to double check our rehearsal venue. Follow the link below to find the next rehearsal date! 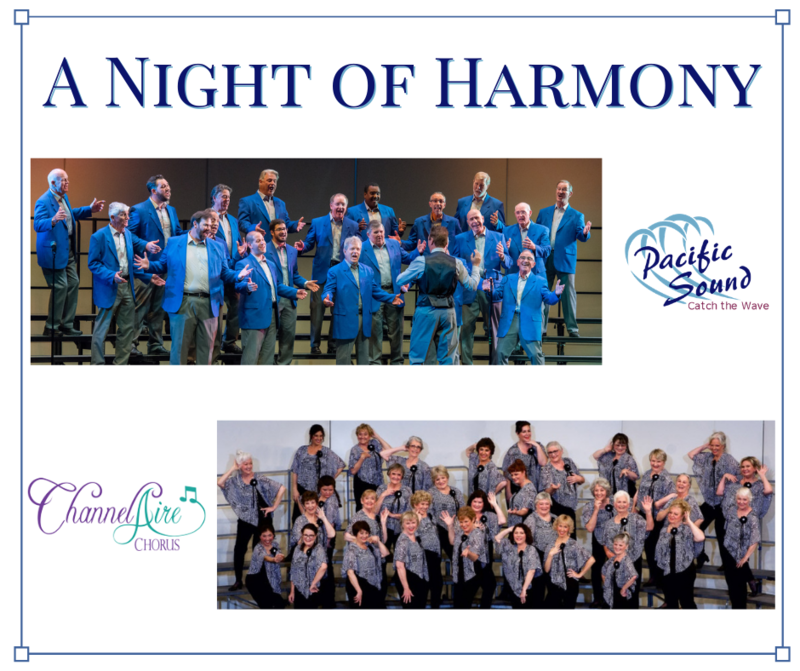 Pacific Sound is excited to partner once again with Channelaire Chorus to put on a fantastic show this May. Come and enjoy our first performance under our brand new director, Courtney Anderson-Georges. We hope to be premiering some brand new music and can't wait to share it with all of you. Tickets available at bit.ly/ANightofHarmony or by calling 1-800-353-1632. Want Pacific Sound to sing at your next function? Why not hire Pacific Sound to entertain at your next event? We can perform at corporate functions, charity events, community Entertainment events, birthday parties, Christmas parties, awards nights, weddings, engagements, anniversaries, engagements, and even funerals and memorial services.